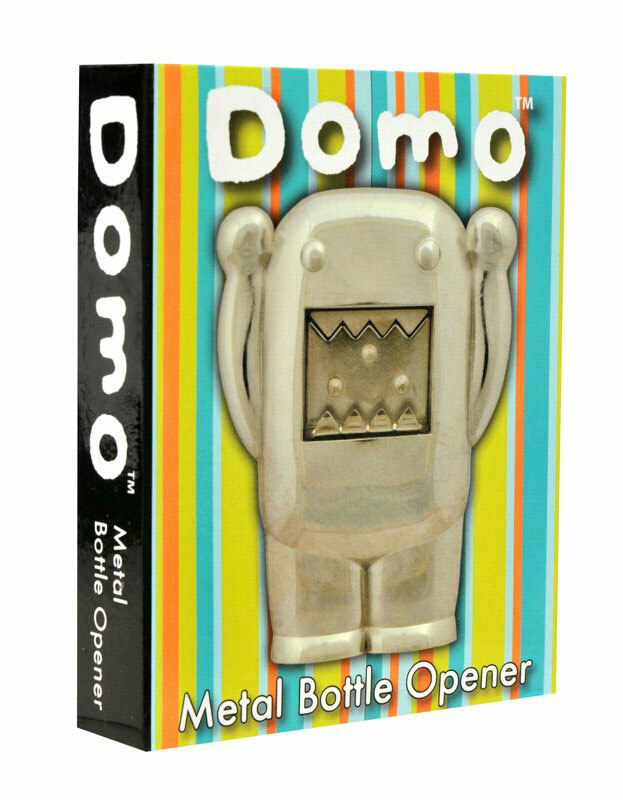 April 2013 - This summer, chances are you may find yourself with a bottle that needs opening. So why not do it in style? 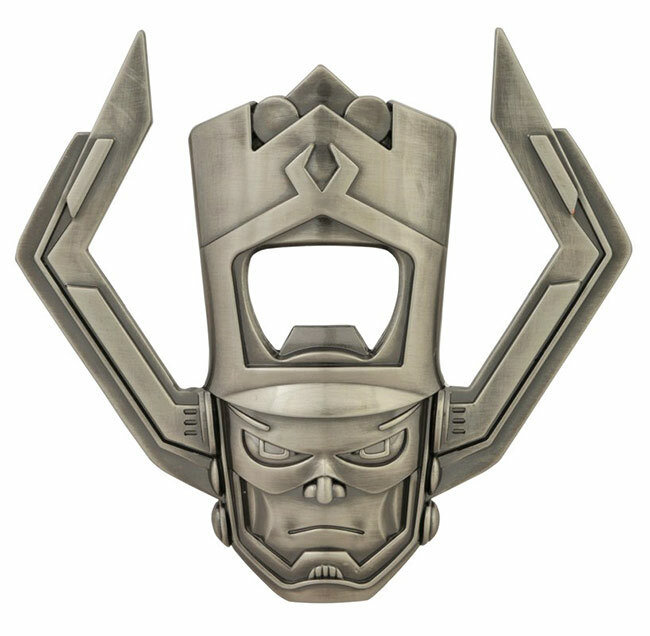 Diamond Select Toys has four new solid metal bottle openers coming out this summer -- Galactus, Domo, the Punisher Logo and the Expendables Logo -- and each has the potential to make you the coolest person on the beach. Check out the new packaging shots of all four, and pre-order at your local comic shop, or your favorite online retailer! 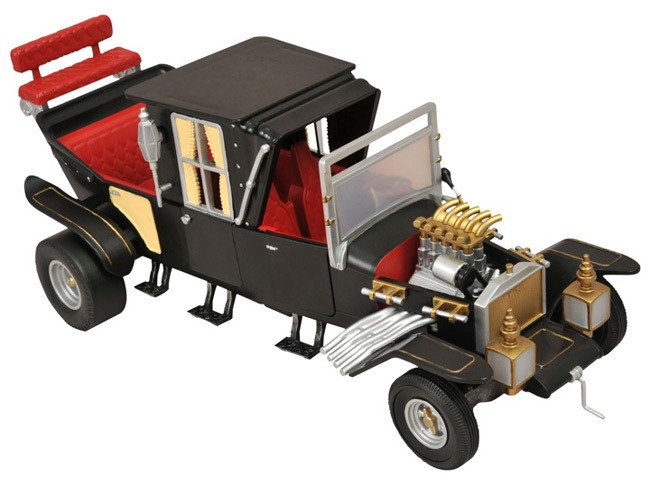 January 9, 2013 - It's New Toy Day, and new products are making their way to comic shops and specialty stores from Diamond Select Toys! 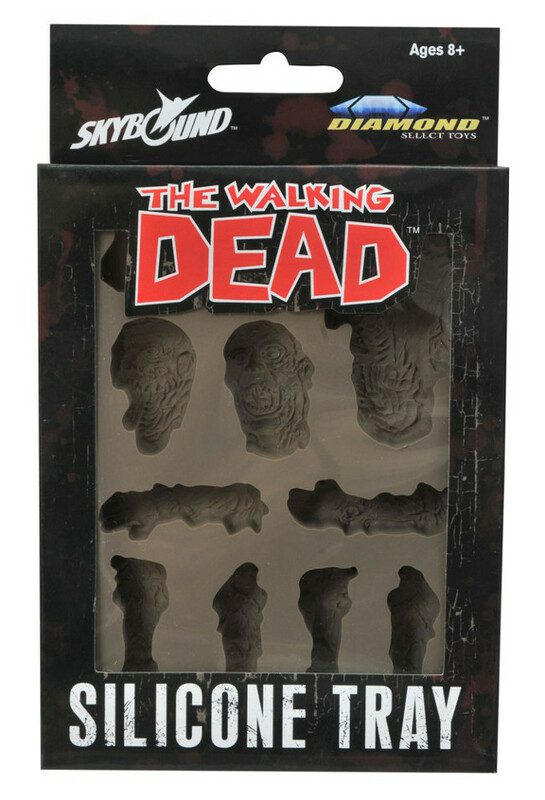 One is their Walking Dead Silicone Tray, where you can cast up your own body parts and eat them, and the other is the heavily armed first series of DST's Expendables 2 Action Figures! Neither is for the faint of heart! 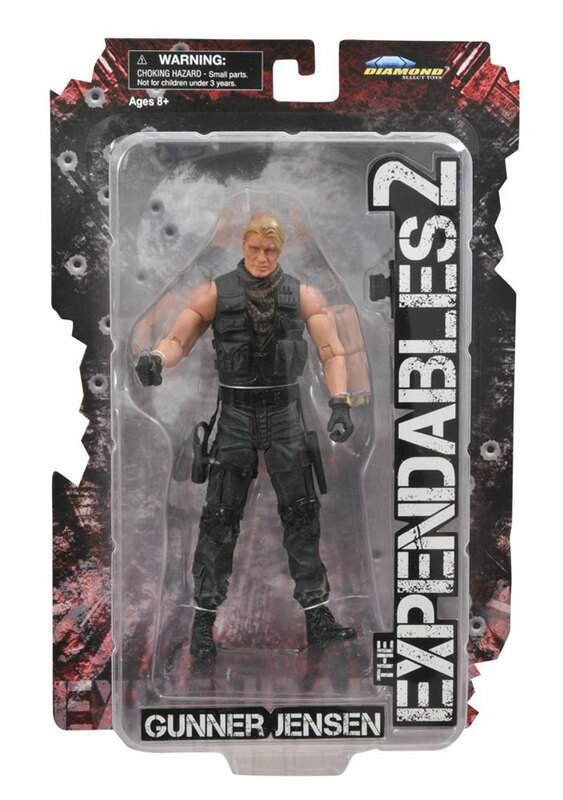 The Expendables Have Been Captured... in New Toy Packaging Photos! 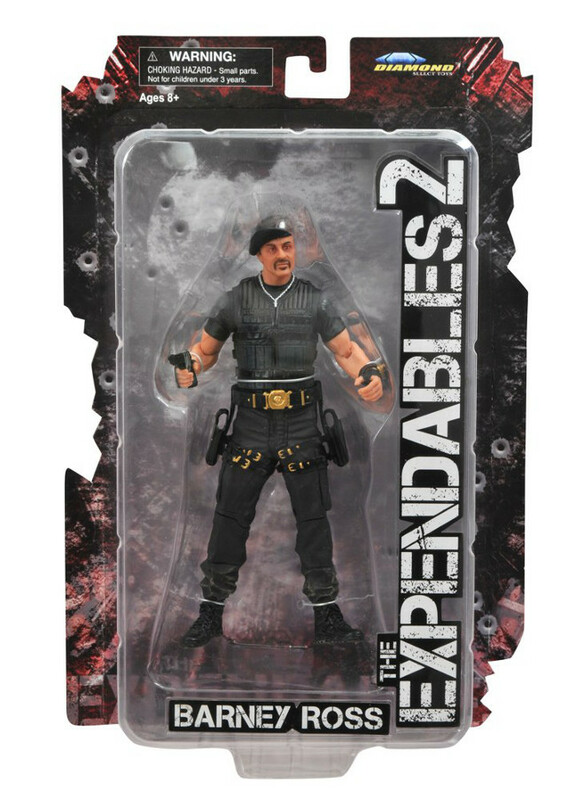 November 2012 - Action movie fans have been dying to know when Diamond Select Toys will release their first series of 7-inch Expendables 2 action figures. Well, the answer is "soon"! DST just got in packaged samples of Sylvester Stallone as Barney Ross (in beret-wearing and bare-headed versions), Dolph Lundgren as Gunner Jensen and Terry Crews as Hale Caesar, and they look just as great in package as they do out. 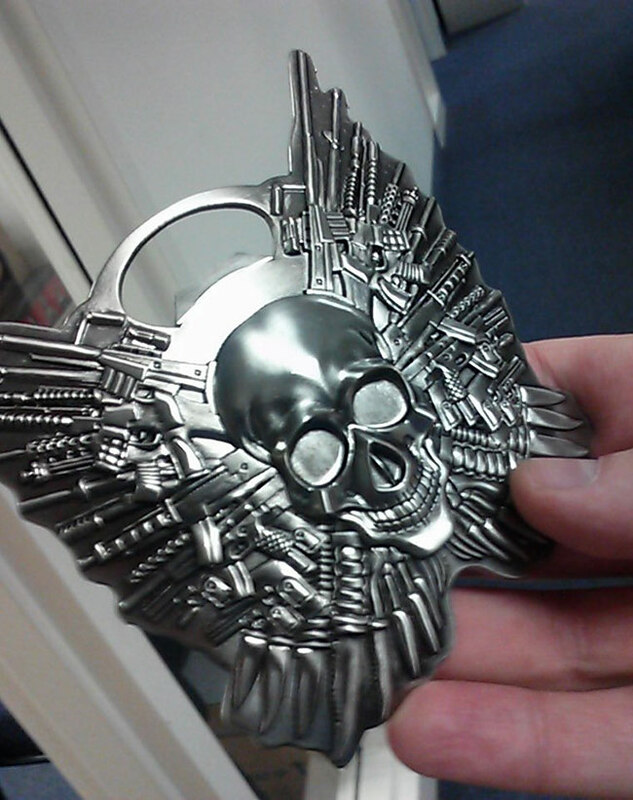 Look for them to invade stores in late 2012/early 2013! Reserve a set online or at your local comic shop – visit comicshoplocator.com to find the nearest one! You can get regular DST updates on Facebook and Twitter! On Sale Today: Expendables 2 Minimates and Femme Fatales Darkchylde! September 5, 2012 - It's Wednesday again, which means it's time for another trip to your local comic shop! While you're there, pick up the two latest releases from Diamond Select Toys! The Expendables are back! 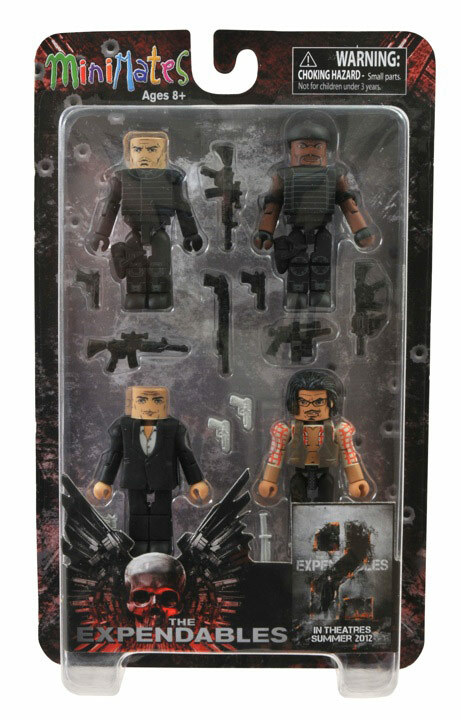 Sylvester Stallone's all-star line-up of black-ops bikers recently returned in Expendables 2, and now DST is bringing you more of your favorite Expendables in Minimate, as well as all-new characters from the new film! Yin Yang, Gunner Jensen, Toll Road and Jean Vilain will come in a single four-pack on a full-color blister card. Each Minimate stands 2 inches tall with 14 points of articulation and a variety of removable and interchangeable parts and accessories. The figures in this box set will only be available in comic shops and specialty stores, and look for the companion box set at Toys "R" Us! 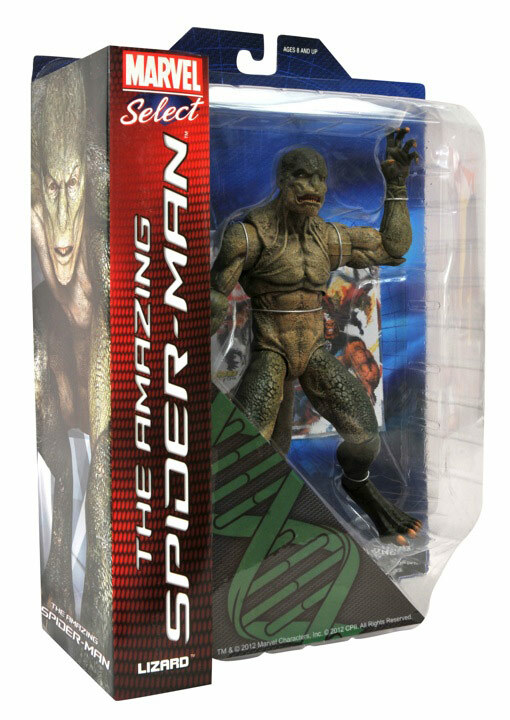 June 2012 - The latest issue of Diamond Comics' Previews catalog has been sent out to comic book shops, and it has a full range of products available for pre-order from Diamond Select Toys! Seriously, there's something for everybody! Gamers, check out our Street Fighter X Tekken toys! Comic lovers, peruse our Marvel and Walking Dead offerings! Sci-Fi fans, see what's new from Star Wars and Star Trek! Check out what's new on the list below, then check in with your local comic shop or your favorite online retailer! 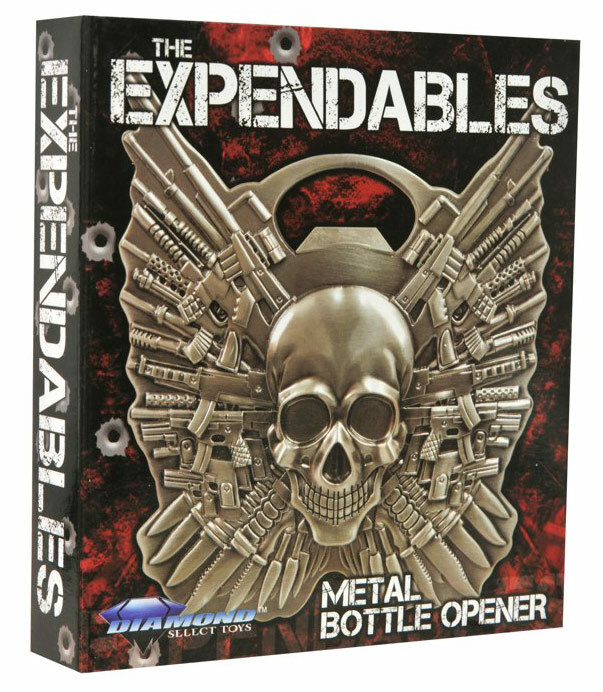 The Expendables Are Back For Another Mission from Diamond Select Toys! 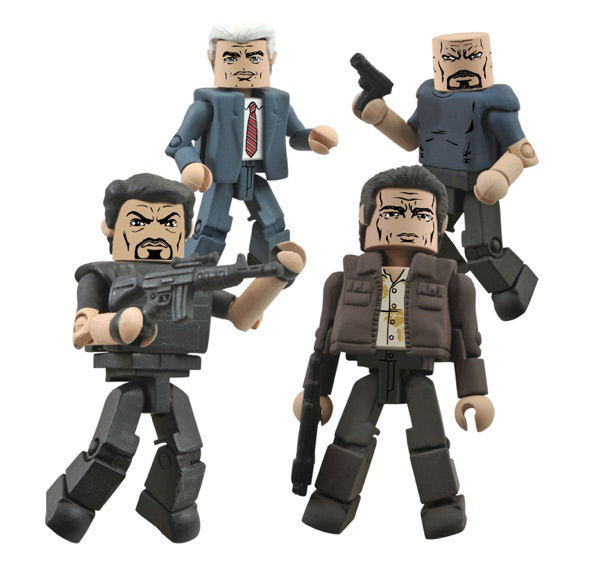 June 2012 - By now, you've picked up the first two sets of Expendables Minimates mini-figures, one at comic shops and specialty stores, the other at Toys "R" Us. Well, Diamond Select Toys has even more products coming out for the newest action-movie franchise, including action figures and more Minimates, and we've got pictures! June 6, 2012 - For many poor souls, Wednesday is the worst day of the week -- right in the middle of a dreary five days of work. If only they were comic book fans -- then Wednesdays would be the high point of the week! After all, it's the day comic book junkies can hit up their local comic shop and be guaranteed a ton of new comics and toys! 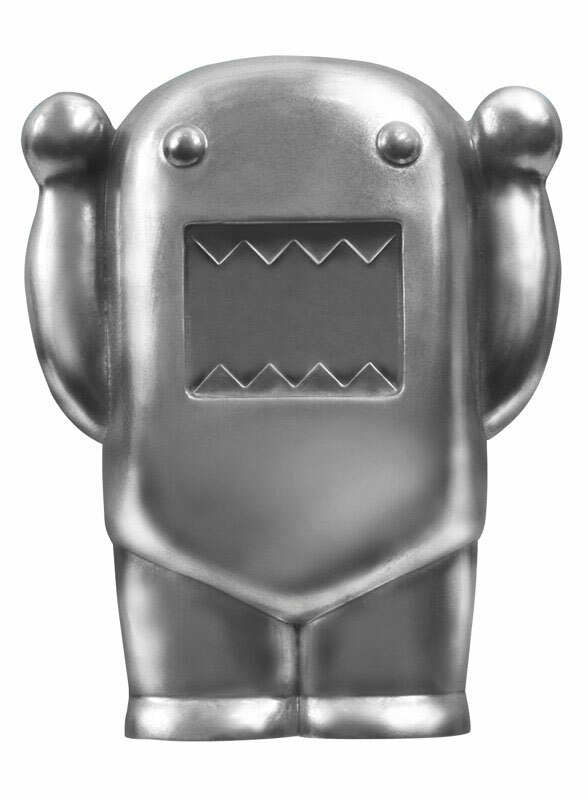 Speaking of toys, Diamond Select Toys has two new products shipping to comic shop and specialty stores this week, and they're both pretty awesome. 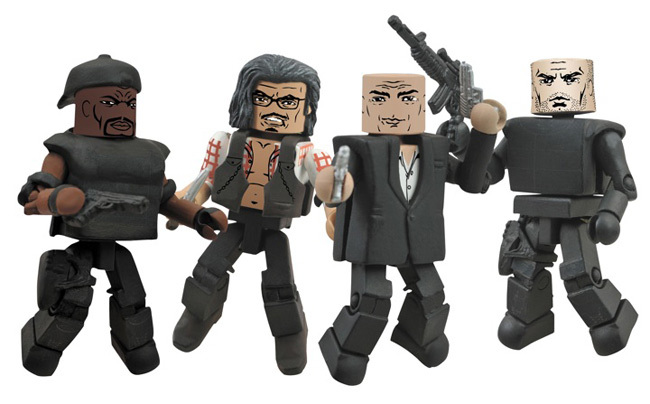 First up is DST's first four-pack of Minimates based on the action-movie extravaganza The Expendables! 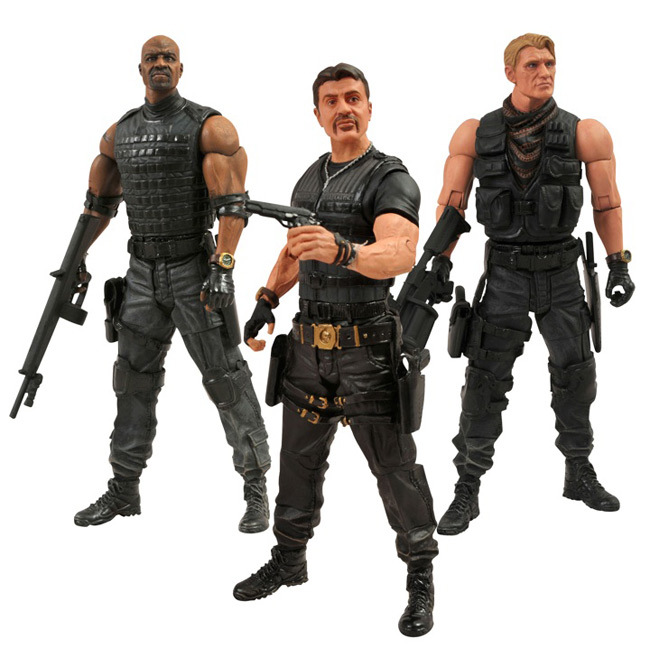 With tiny, two-inch versions of Lee Christmas, Hale Caesar, Mr. Church and Tool, this set is your first step towards building the Expendables team! The Expendables Minimates Are On a Mini-Mission! Look for the set in stores on Wednesday, and look for the Toys "R" Us-exclusive set -- featuring Barney Ross, Trent Mauser, James Munroe and Paine -- to hit soon. In the meantime, check out these pictures of the toys in action! April 2012 - On-screen, the stars of the instant-classic action film The Expendables are all larger-than-life, but in the real world, many of them are no bigger than you or me. Jason Statham? Five-foot-nine. Sylvester Stallone? Five-foot-nine-and-a-half. Jet Li? Five-foot-six-and-a-quarter. So translating all of them into 2-inch Minimates minifigures was a piece of cake! This summer, DST will release two sets of Expendables Minimates, one at Toys "R" Us and one at comic shops and specialty stores.